Better later than never, here is a short report of the first ever W3C Developer Meetup in Tokyo, that took place on 8 June 2013. The meetup venue was splendid, on the 14F of the famous Mori Tower (where the giant spider is – see pic. on the meetup page). This building is home of leading companies from the IT and financial sectors (Nokia, Softbank, Bloomberg, Barclays, Goldman Sachs, Google (which hosted the Test The Web Forward – TTWF- event), and… the Pokemon company!). The Mori Tower is located in the district of Roppongi Hills, built just 10 years ago – another city in the city. The meetup was hosted by the renowned Japanese game company GREE Inc. Their premises, also splendid – all in white -, welcomed about 300 attendees. Kensaku Komatsu (NTT Comm) and I chaired the event. We were both wearing costumes of Japanese anime (see picture in Virginie Galindo’s blog and Daniel Davis’ tweet). Komatsu-san usually wears his frog costume at developer events. And when we were preparing this meetup, with Komatsu-san and Nakajima-san, I made the mistake to say that I like very much Doraemon, a famous anime character on Japanese TV Asahi. So, just before the event started, I got a gift: a Doraemon costume!! 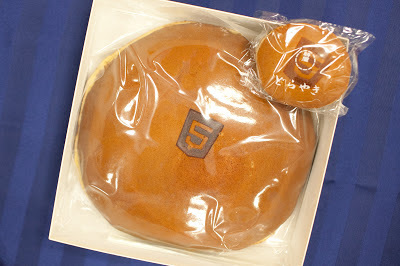 To make it completely Doraemon-style, the event goodies were dorayaki cakes (small and big ones) adornated with an HTML5 logo. The event went very well: great speakers and panelists, many tweets (on #w3cdev), many enthusiastic people, real-time translation (all speakers were speaking either English or Japanese). The agenda was quite well balanced, I thought, and the presentations were really good. See slides, linked from the meetup page. We had a social event afterwards, with a splendid buffet! Kensaku-san organized a series of lightning talks while people were having food and drinks. Then, we got 2 nice big creamy cakes, decorated with the W3C and html5j logos respectively (see pictures in Fumi Yamazaki’s blog post). The W3C cake was cut by Mike and Naoko, enabling all of us to congratulate them on their recent wedding! Many thanks to W3C members and staff for their support, with special thanks to Nakajima-san who did all the ground work in Tokyo, coordinating with the html5j and NTT Communications people on many aspects such as the venue logistics and registration system. But nothing would have been possible without the help of the community of html5j passionate developers who did a tremendous work preparing the event. ??? ?, ????? ?????? !